A Viewfinder — Geoff Howell Studio Inc.
For Thomas Cole's Summer party 2017, the inspiration for the decor was all about the art of Thomas Cole. 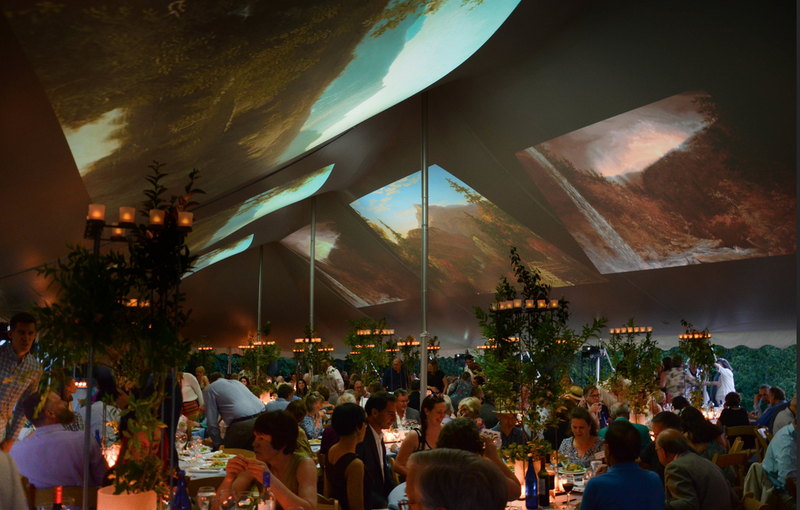 Keeping in the theme of this year's exhibition in house with a message about the importance of environmental sustainability, Thomas Cole's landscape paintings of the Catskills were projected on the tent, mirroring the projections used in the exhibition. The dreamy and ever-changing images created a magical atmosphere of glowing light throughout the event. Tying in with the message were the centerpieces that featured local flora intertwined within tall steel candelabras that Geoff himself designed.